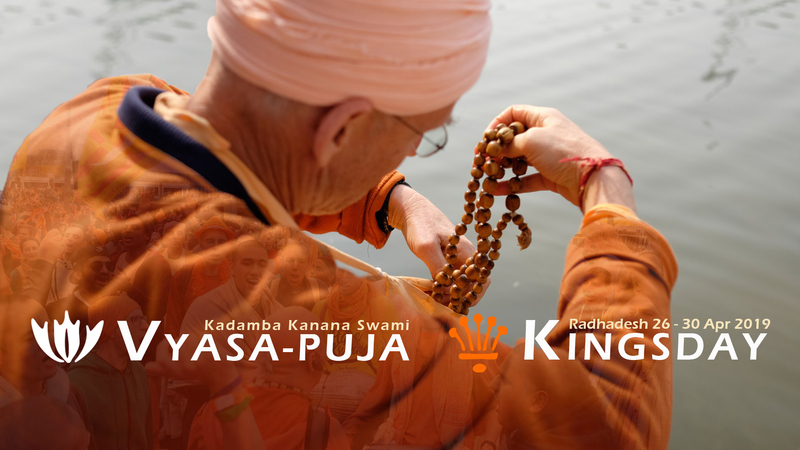 Welcome to the Vyasa-puja & Kingsday pages! Here you will find all the information about these festivals, registration and frequently answered questions. See you soon! Like every year we aim to make the festival and prasadam for free. But this is not possible without your financial contribution. Fundraising will be handled by Gopali dd and she will be contacting you again to help make our goal a reality. * The accommodation and festival fees are only valid during the festival days! You can already sent your material, writings, poems and other tidbits for the Vyasa-puja book. Visit the extended FAQ here.